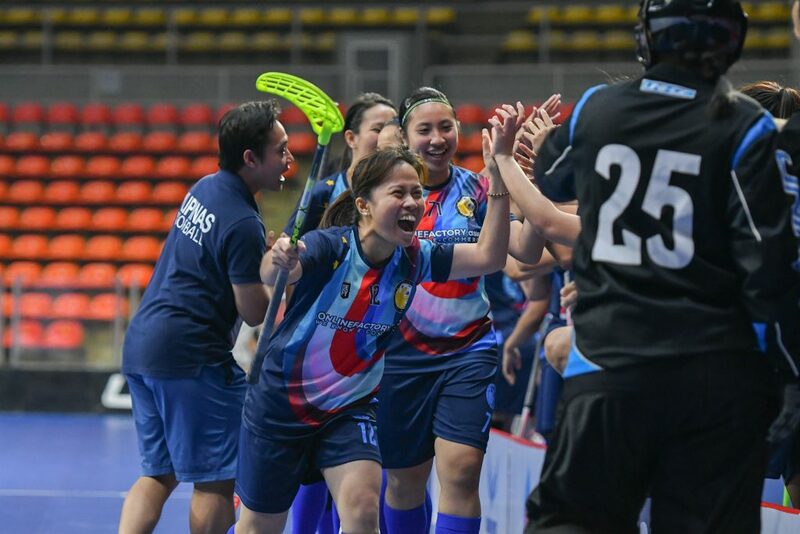 Belgium and Philippines made their first Women’s WFC appearances in this year’s qualifications. Both teams had the aim to show their skills on the international level and they did indeed perform very well. The IFF wanted to have a closer look what the teams thought of their first IFF WFCQ events, so here’s a story of the two debutant teams. 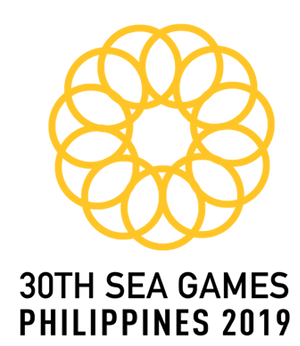 Team Belgium described their team as young and newly formed, and they took the qualifications as an opportunity to learn and to challenge the big nations. Their first match was against Italy, and it became an exciting thriller. But what was their takeaway from the qualifications? – What a moment: Hearing our national anthem play at an official game at our first-ever WFCQ filled us with immense pride! After an extremely nerve-racking first match, we gained focus, rekindled the flame for competition and fighting for our nation, and our performance improved against tough but fair opponents. We competed against physically fit and fast players, and we noticed that international matches at this level outpace what we are used to back home in Belgium. 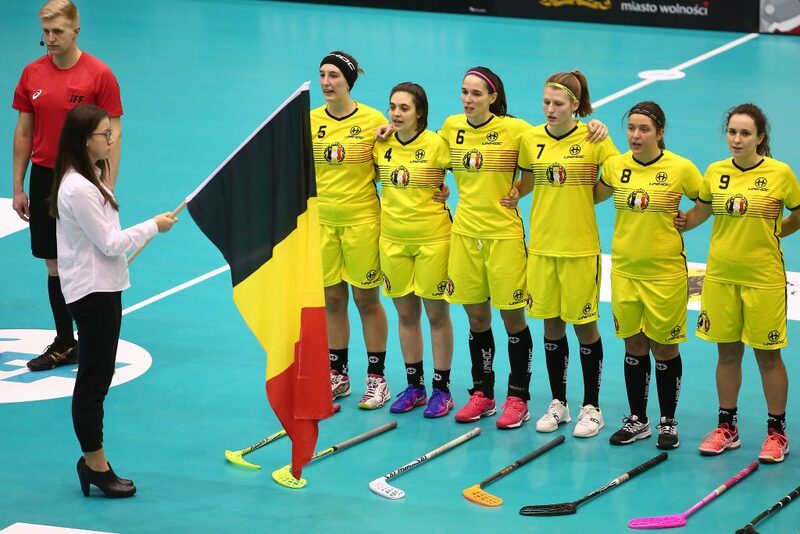 We embraced this challenge – and we showed our grit and fighting spirit, the Secretary General of the Belgian Floorball Federation, Rossana Mäder, recalls. – Our team grew together and developed a sense of togetherness, on and off the field: willpower and a feeling of unity within the group taught us that the whole is greater than the sum of its parts. We left beautiful Gdańsk with renewed focus and the determination to improve our physical strength, our speed and our technical skills. With new drive, we will aim for a stronger performance in the next WFCQ. But the memory of this exciting first appearance at the WFCQ will guide us as we work even harder to deliver better results – boosting, we hope, the interest of girls to play floorball in Belgium. Many thanks to the Polish Floorball Federation, LOC and IFF for their organisation and support! Team Philippines started their tournament with an even game against New Zealand. They also played another tight game against Korea for the 7th place, but lost 3-4. The development of the team during the past year has been very impressive. During the next years, Philippines will become even stronger and are definitely challenging the more experienced nations. Beforehand, team Philippines stated that they will be fighting hard in the group stage. But did the qualifications offer important lessons for the team and how about the preparation for the upcoming Southeast Asian Games? 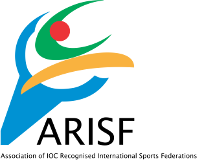 – This WFCQ is part of our preparation for the upcoming SEA Games to be hosted by our country at the end of the year. This has allowed us to identify and be able to do necessary improvement with our team in time for the biennial regional games. Furthermore, the excellent hosting of the Thailand LOC has provided a lot of inspiration for us on how to successfully host an international floorball event, especially as we will be organising the upcoming Men’s AOFC Cup and SEA Games in July and November, respectively. With the overall positive experience, we look forward to participating again in the next WFCQ. The IFF wishes both teams a successful future within international floorball!